“Beautiful, clean coal,” as President Donald Trump described it in his January 2018 State of the Union address, is still not making the comeback the president promised. In fact, power-plant coal consumption continues to drop in large increments and shows no sign of changing course. And the less coal power plants burn, the harder the impact on U.S. coal mining. In its most recent review of the coal mining sector, the U.S. Energy Information Administration (EIA) reports that the number of active coal mines has decreased by more than half—from 1,435 mines in 2008 to 671 in 2017. The EIA looked at multiple facets of coal mining, including which mines by size have been impacted the most, the status of both surface and underground mines, and how coal mining in different parts of the country has changed. According to the EIA, as the U.S. market contracted during the study period, smaller, less efficient mines were the first to close, and most of the mine closures were in the Appalachian region. Also, although underground mines had a larger percentage of closures from 2008 to 2017 (60 percent versus 49 percent of surface mines), surface mines have seen larger declines in production, falling 39 percent compared with 24 percent for underground mines. Most coal regions contain a mix of both surface and underground mines, except for the Powder River Basin in southeast Montana and northeast Wyoming, where large surface mines account for more than 40 percent of total U.S. production. The Appalachian and Illinois Basins east of the Mississippi River have the most mines in the country, notes the EIA, with more than 77 percent of eastern production coming from underground mines. Between 2008 and 2017, 340 fewer underground mines produced coal in this region, compared with 410 fewer surface mines. In contrast, basins in the West—primarily the Powder River Basin—have fewer mines, and production mainly comes from a smaller number of large surface mines. The EIA notes that the profitability of a coal mine depends on several factors, including the mining method. For example, for underground mines, when compared to continuous mining and conventional mining, longwall mining has the highest recovery and extraction rates and is the most productive type of underground mining. However, longwall mining can only be used in flat, thick, and uniform coalbeds. Surface coal mining techniques include strip mining, open-pit mining, and mountaintop mining; in each of these categories, the EIA found either a reduced number of mines or a reduced level of production over the study period. Coal as an energy source has for years been losing ground to natural gas, which is abundant, cheaper, and cleaner. In terms of regulation, the EIA has repeatedly emphasized that the EPA’s Mercury Air Toxics Standard (MATS) has resulted in the closure of small coal-fired power plants that did not invest in the required pollution control technologies; this reduced the demand for coal and negatively impacted coal mining. 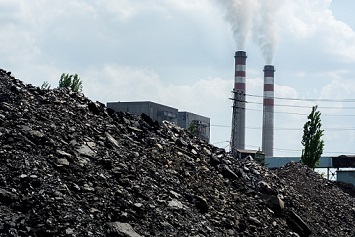 The EPA is currently reconsidering the MATS, although the regulation remains in effect, and almost all affected coal-fired power plants are in compliance. At the end of 2018, the EIA reported that it expected the retirement of 14 GW of coal-fired generating capacity through the end of the year, making it the second-highest year for coal retirements. Another 4 GW of capacity are planning to retire by the end of 2019, says the EIA. Currently, there is only one new coal-fired power plant in the United States—a relatively tiny 17 MW combined heat and power unit that was built by the University of Alaska Fairbanks and is now being tested. The EIA’s report is here.